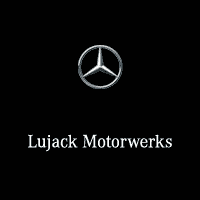 Lujack Motorwerks can handle your lease return at our Mercedes-Benz dealership. No matter where you originally leased your Mercedes-Benz, you can return your vehicle to our Lujack Motorwerks dealership at lease-end. Not ready to say goodbye? You don’t have to because you’ve got options! Whether you are looking to lease, return, or purchase the current Mercedes-Benz you are in , our certified Mercedes-Benz Salesmen are here to help you make the best decision. Be sure to check out our Dealership Specials if you do decide to lease. When your lease is complete simply return the vehicle to Lujack Motorwerks. Our Mercedes-Benz Certified Sales Staff will be more than happy to show you the latest models and discuss additional options you may consider. Once you make your decision, our finance center will help you get the financing options available. If you consider buying a used car then we invite you to look through our used car inventory. Simply contact Lujack Motorwerks for more information. Lujack Motorwerks located in Davenport, IA is your premier lease turn-in dealership. Whether you leased your vehicle from us or from any other dealership, we will be more than happy to assist you in turning in your current Mercedes-Benz. You will be responsible for paying any mileage overages or excessive wear and damage, but we’ll help you out on your next lease on how to go about avoiding those overages and extra fees. If you have grown to love your current leased Mercedes-Benz then buying your lease is the best option for you! Not only will you get to keep the vehicle you love to drive; you won’t have to worry about any end-of-term obligations and fees.